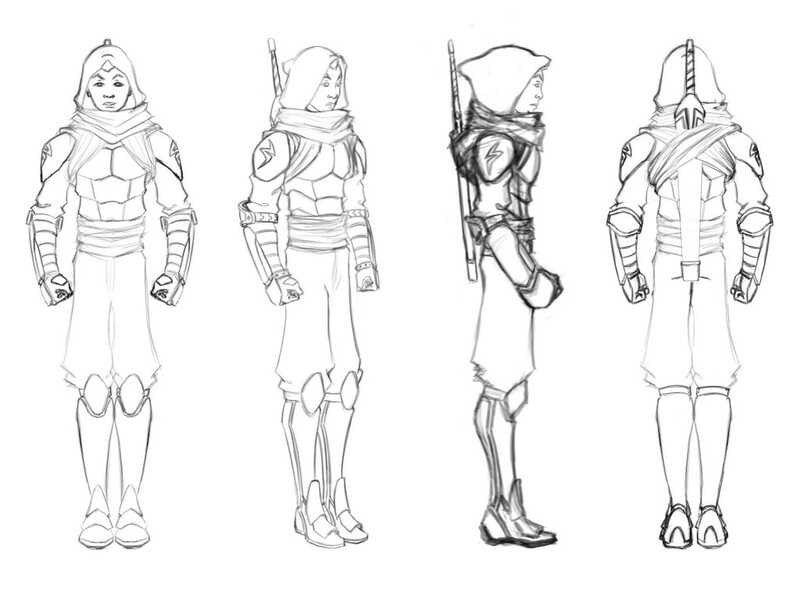 Here is various concept art for the main character of the game, Verin. I wanted to go for a sixteen to eighteen year-old guy who is learning what it means to be a man and to face his fears. 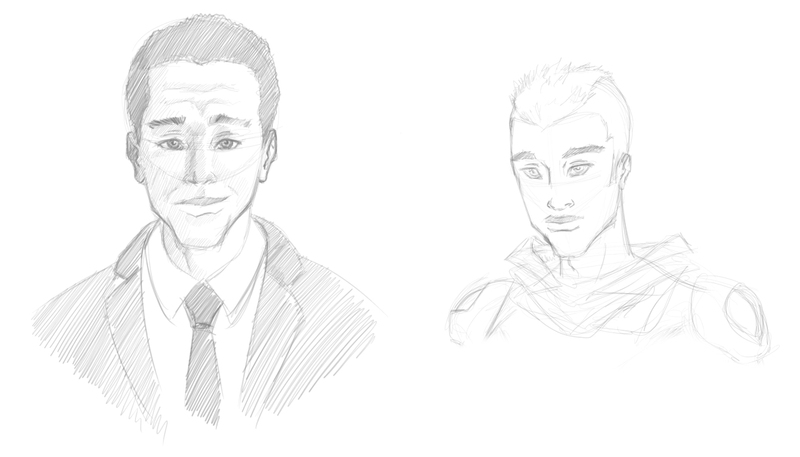 Coming up with a protagonist that I really liked was a long process, but a fun one. This concept is from fairly early on in the concepting process. I used actor Michael Ealy as inspiration for this version. 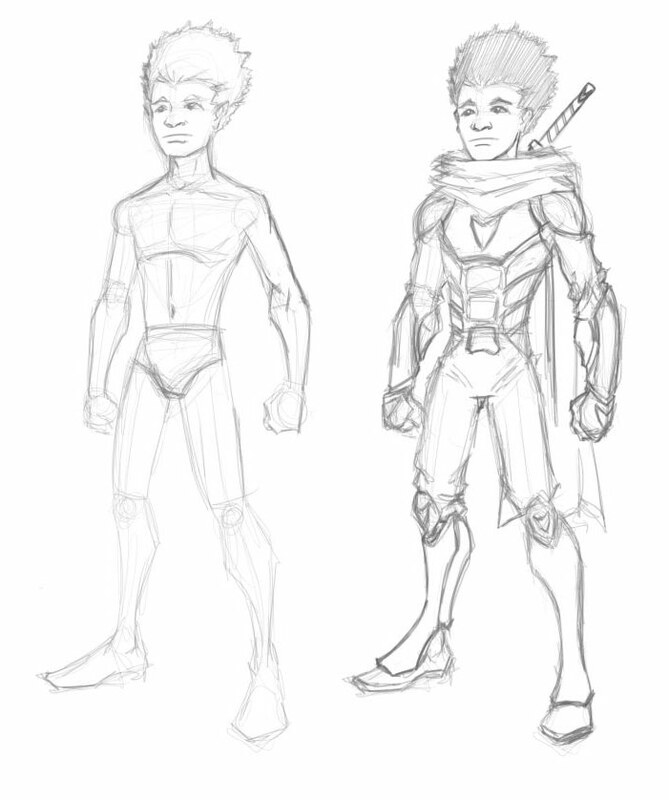 By the second version, I had decided for sure that I wanted a younger main character. This is the point that I landed at the sixteen to eighteen age range. Having decided that, I was trying to achieve some of the things Chris Oatley talks about from his Disney days regarding character “appeal”. 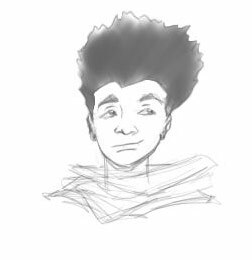 I felt like a lovable face and a memorable hair do would help turn Verin into somebody that I would want to root for in a high stakes story. Iterating off of the previous version, I decided that I needed him to have more personality, and that his personality should be kind of cocky, fun-loving, and maybe a bit mischievous. By this point, I shared the design with Chase and we both felt like we had a character that was starting to have appeal. It was then time to start trying to do tighter concepts and play with costume. 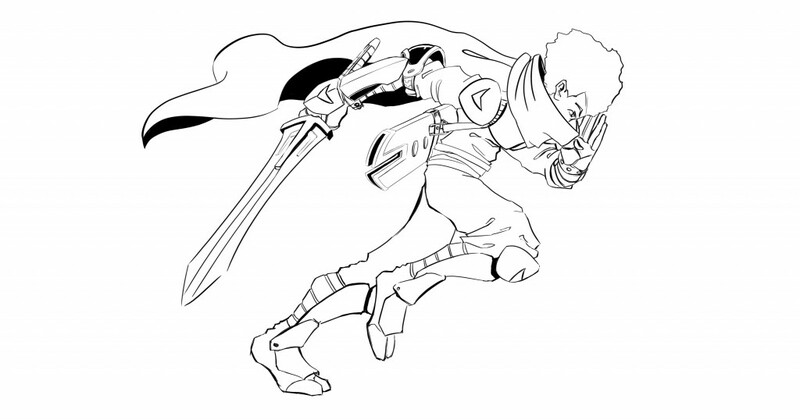 The following piece was an exercise in figuring out his get-up and more of his in-game mannerism. At this point, I nailed down the costume and started working on a character sheet in preparation to begin tight artwork for animations. 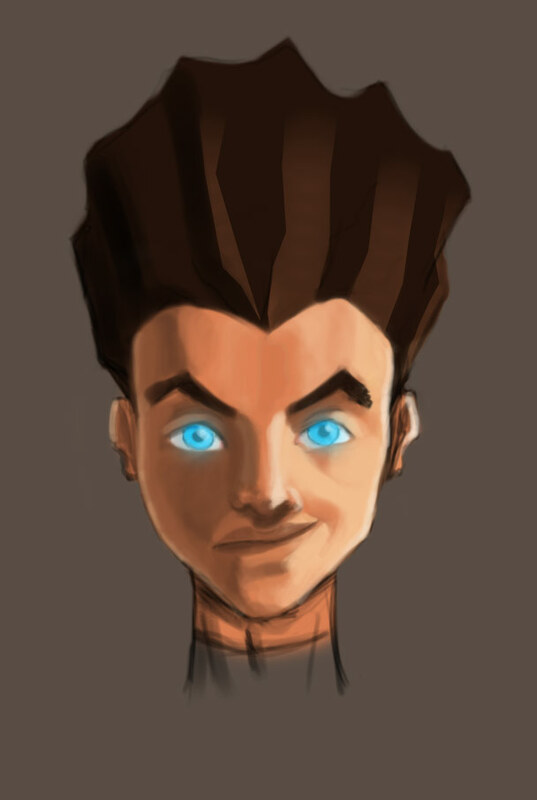 Below is a quick color rough that I did for fun in preparation for some of the cutscenes in the game. So, from here I went into animation. Which is where my part of the project is, now. It has been quite a learning experience. I’ll be talking about how the animation process was decided upon, and include some of the initial work in an upcoming post! Let me know what you think of the character design in the comments!